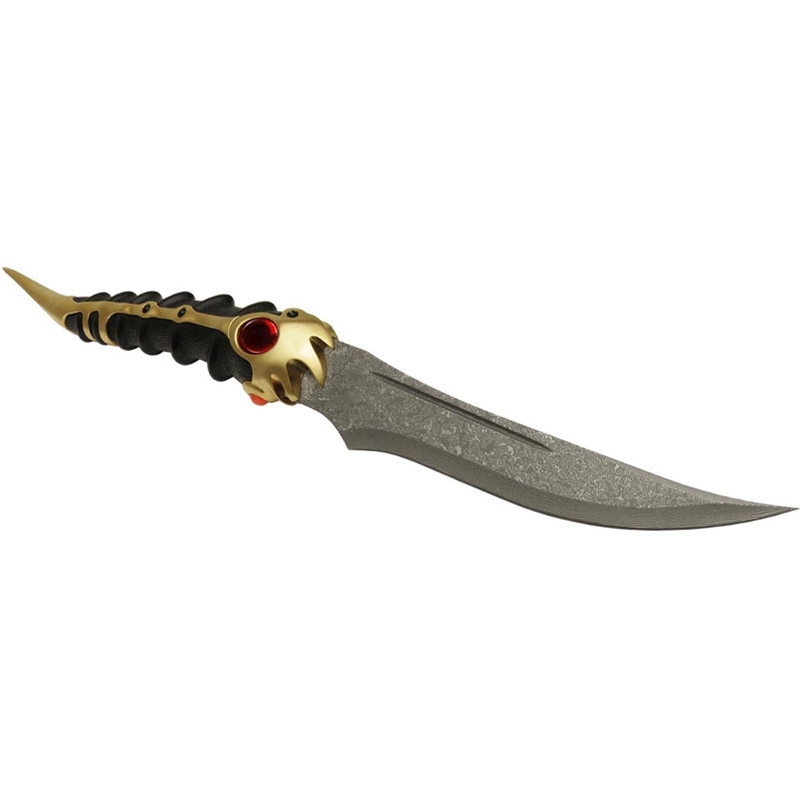 The Catspaw Dagger is a replica of the knife used in the HBO series and is an official Game of Thrones licensed product. 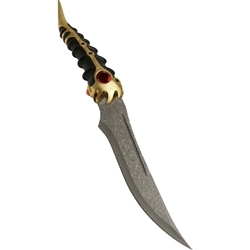 A blade of Valyrian steel that Catelyn Stark recovered from the assassin sent to finish her son Bran. It was taken to King’s Landing by Lady Stark and shown to Petyr Baelish, who identified it as belonging to Tyrion Lannister. 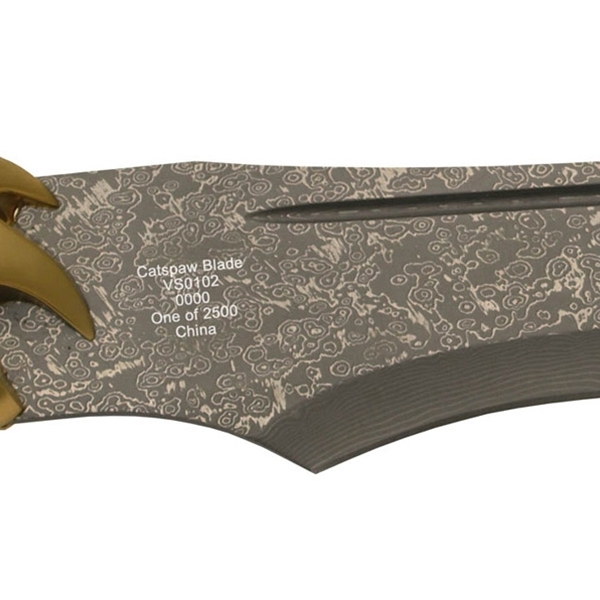 This adult collectible is officially licensed from HBO's hit series Game of Thrones and is an edition strictly limited to 2500 pieces. 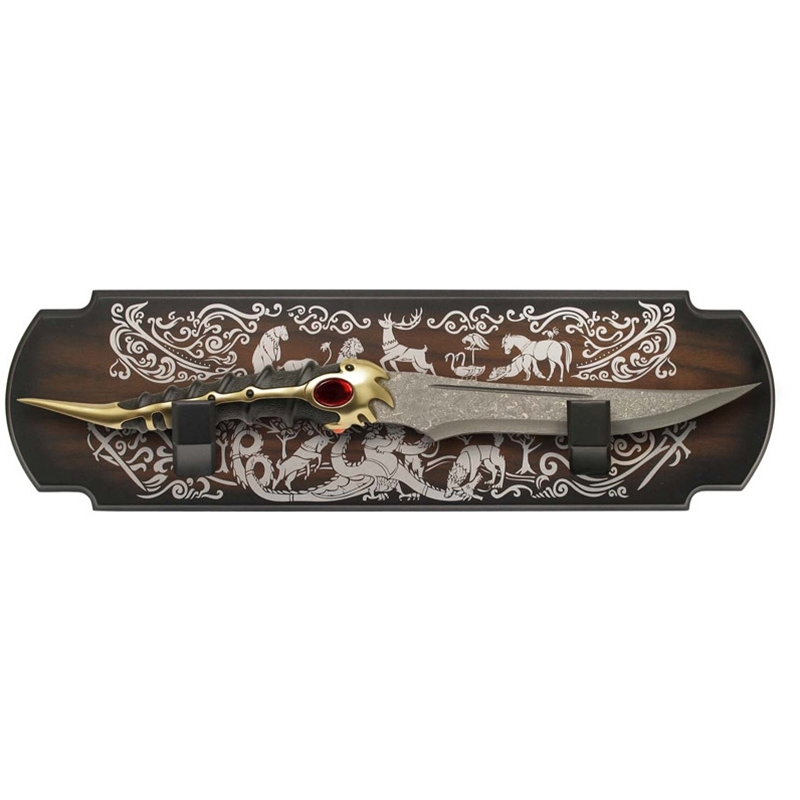 The Game of Thrones Collection is a series of collectible weapons and armor painstakingly recreated from the actual props used on HBO’s hit fantasy epic Game of Thrones. 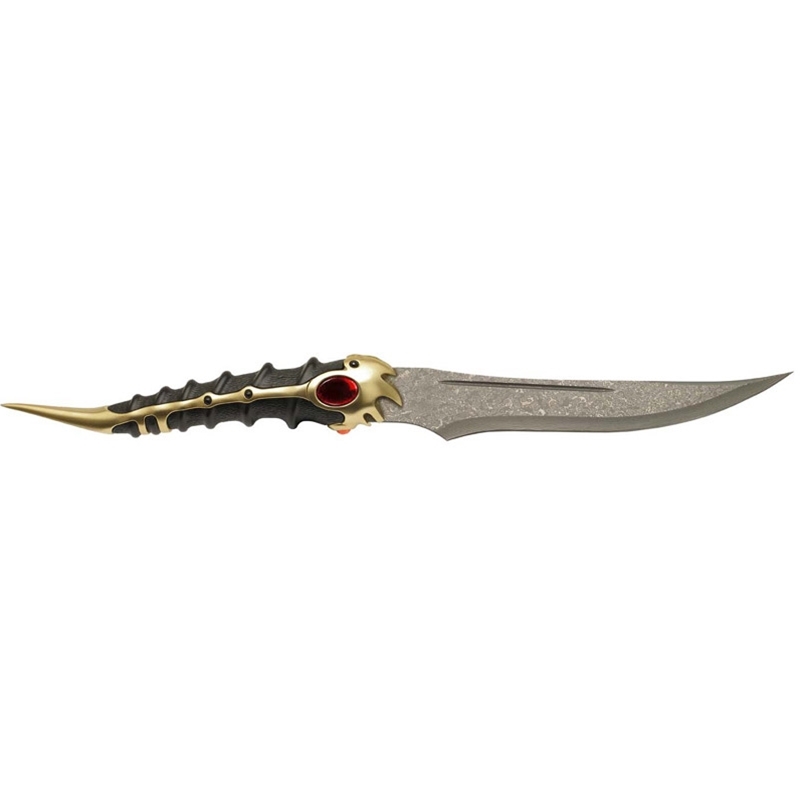 The officially licensed collectibles are made from the highest quality materials and have been crafted with special attention to reproduce the authentic details found on the props. This item is not a toy, please keep out of the reach of children. This replica helm is intended solely for display purposes as a collector's item. Official HBO Licensed Product 2012 Home Box Office, Inc. All Rights Reserved. 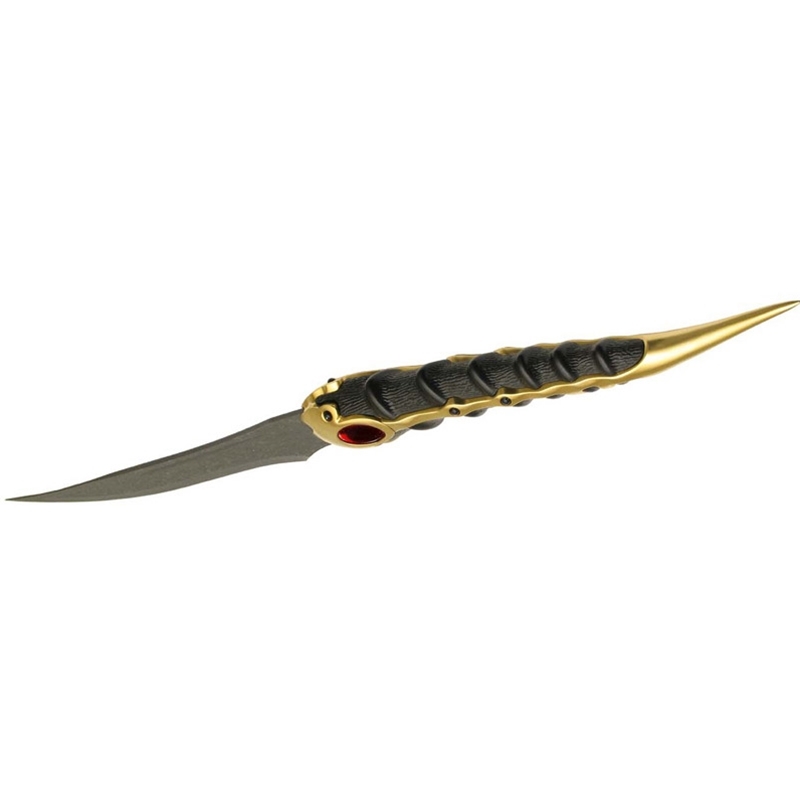 Game of Thrones is a trademark of Home Box Office, Inc.
* Handle: Faux "dragon bone" grip with 24k gold plated metal parts. * Plaque: Silkscreened wood with Game of Thrones motif.